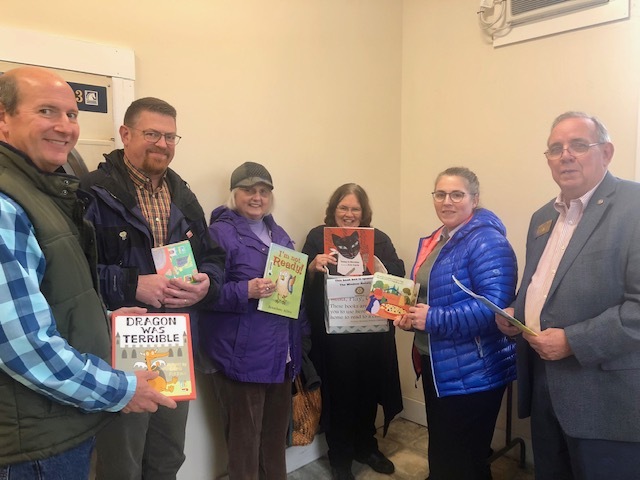 Windsor - The Windsor Rotary Club is the new sponsor of the Ascutney Mountain Promise Community book box at the Windsor Laundromat. The Rotary contributed funds to purchase new books for the box, which offers free children’s books, helping to encourage reading and support kids building up their own home libraries. The Ascutney Mountain Promise Community is grant-funded to focus on Kindergarten readiness and promotes learning, playing, and growing. Currently, there are book boxes in area businesses throughout Windsor, West Windsor, Hartland and Weathersfield. To find out more about AMPC and the Windsor Rotary, visit, www.facebook.com/AMPromiseCommunity/ and www.facebook.com/WRC6487/.